This bold Aguzzo® Stainless Steel Heated Towel Rail fits two standard towels side by side. 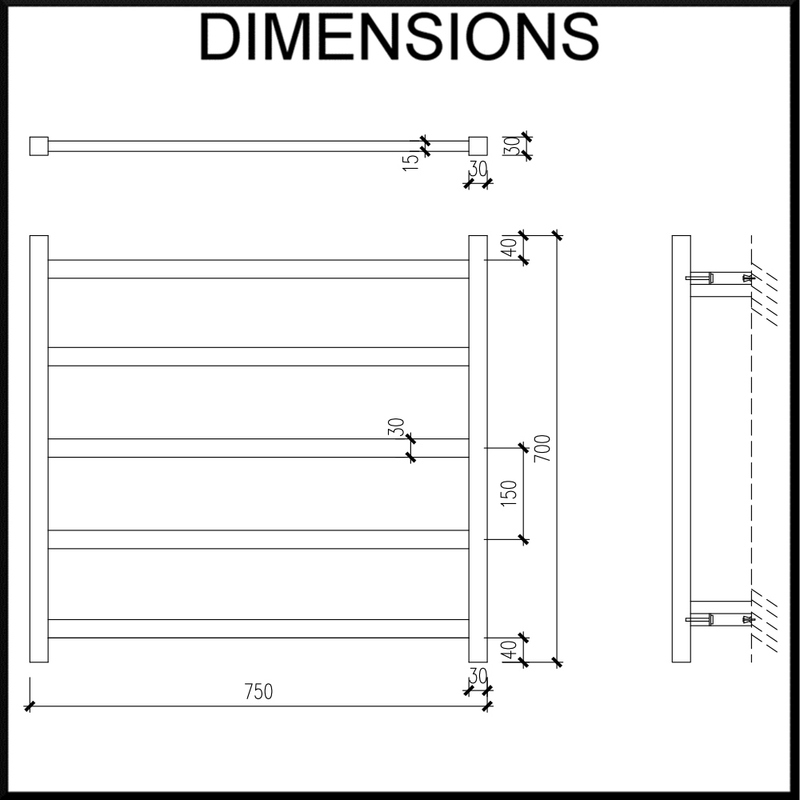 Its large flat horizontal bars provide high heat contact to the towels so they are warm and dry in minimal time. Unlike lightweight and lower grade steel heated rails Aguzzo® rails are thick 304 stainless steel. Efficient - Only 78 watts power consumption! This Aguzzo® Stainless Steel Heated Towel Rail has bold flat rails. Its 750mm width fits two standard towels side by side making it the most compact choice for two towels. It boasts 5 x large flat horizontal bars to provide high heat contact to the towels so they are warm and dry in minimal time. 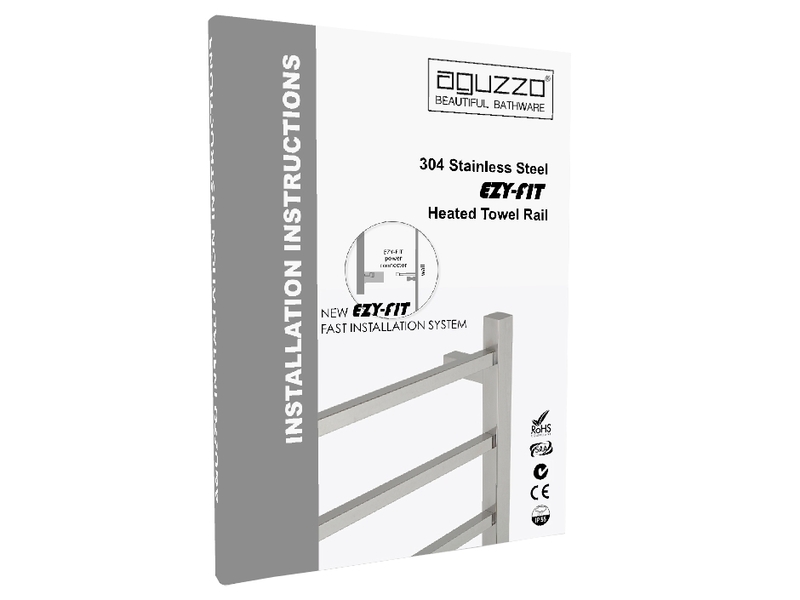 Unlike lightweight and lower grade steel heated rails Aguzzo® rails are thick 304 stainless steel. 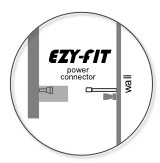 Simple install - Includes new EZY-FIT plug for concealed in-wall wiring - your electrician will love it! See install instructions below - you can simply plug in or have your electrician provide a connection in the wall for concealed wiring. 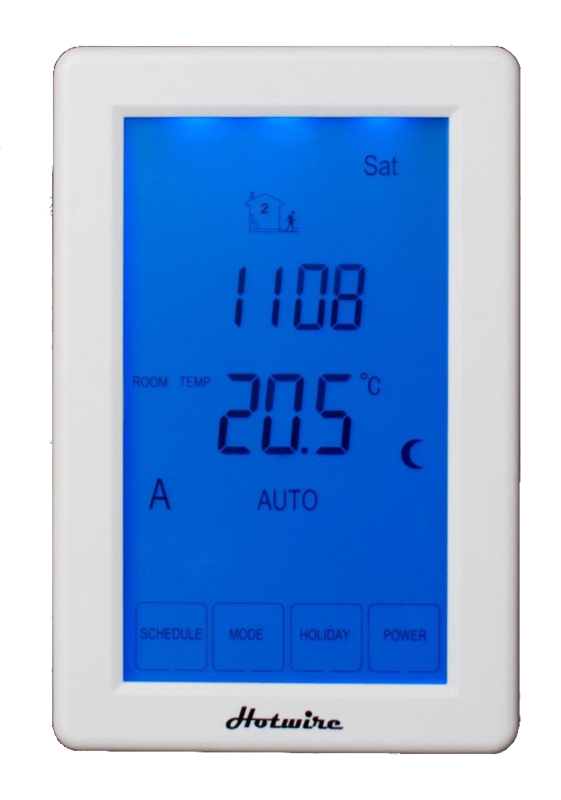 Simply connect to and control via a wall switch or programmable timer (sold separately) so you can enjoy warm fluffy towels when you need them! Efficient- Only 78 watts power consumption! For less than the power of a light globe you can have the benefits of warm dry towels. It only takes 5 to 10 minutes to heat up. 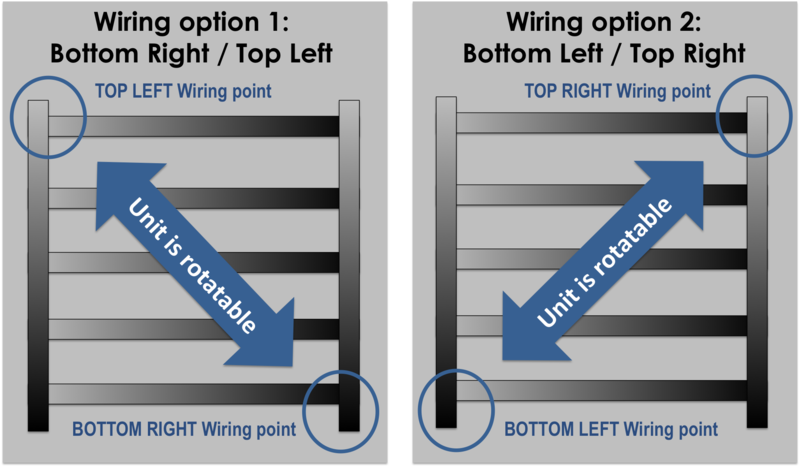 Select your required wiring option when purchasing. The heated towel rail's innovative symmetrical design allows it to be rotated so the wiring can be on the top or the bottom.